Member of the Senior Intermediate Team, and Giddha Team. She traveled to her first Vancouver International Bhangra Celebration (VIBC.org) event in June of 2017. taught her first team for the 2015 year-end show, a group of girls ages 7-10. She has a talent and passion for Punjabi singing and has been singing duets with her friend and one of her co-teacher's Shania Sraw. She is teaching a girls team ages 7-9, called Bhangra Wonders of the World with Shania Sraw and Tanvir Parhar. She always teaches with a smile, pleasant personality and is an excellent team member. She has some amazing ideas - our goal is to help to achieve them! Amrit celebrates 7 years with SEP in 2018! Member of the Senior Intermediate Team and Giddha Team, for which she has been an excellent co-Team Lead. She currently teaches our junior B9 Boys Bhangra team, and taught Bhangra/Bollywood outside of S.E.P. at the Sooke Dance Academy a group of junior girls ages 7-9 in 2014-2015. She is an incredible team member and does 110 percent all the time. She is in her second year of university. Previous member of the Senior Intermediate Team and Giddha Team, she is co Team Lead and current member of the Smalltown Bhangra Team (Advanced Team). She has taught a co-ed class with Preet Parhar for ages 4-6 (2011-2015), and has been with the dance school for over 5 years. If you know Balpreet her laughter and fun disposition is contagious - she lights up the room! Balpreet is enrolled in full-time studies at a post secondary education institution. She has been a member of SEP for over 10 years and loves dance! She has made some great friends over the years and has been teacher training over the years ! She is a member of the bollywood and bhangra divas and will be teaching the Bhangra Big Shots alongside Kajol! She is very excited to lead this very young team but she knows age is not a factor to amazing Bhangra - these tiny tots to the teachers surprise at the show on May 14 2017 performed on one of the largest stages at Uvic! We are so glad to have her in our wonderful team and family of teachers! Coreena brings a lot care, passion and thought to take this team to our 2018 25 year show! On a personal note - Coreena was a flower girl for Sonia's sisters wedding when she was only 4 years old - and it gives great pleasure to Sonia that she is now teaching her nieces. Teaching with his sister, Preet, this dynamic team, taught our first all boys team between the ages of 6-8, called Bhangra Beats for the 2016-2017 year. He himself was a part of the senior advanced boys team previously, and also is a member of an advanced co-ed team. He really enjoyed seeing his boys team bhangra beats perform on stage in front of the families. Each week he looked forward to meeting his friends in co-ed and new friends in the Bhangra Royals. An incredible role model and amazing team member he has been with SEP for over five years. "Jas" is a member of the Smalltown Bhangra Team (Senior Advanced Team), a previous member of the Senior Intermediate Team as well as the Giddha Team, and she teaches the Bhangra Jiwani girls ages 7-9, with Manmeet Gill. She has been teaching for over five years, and is the golden girl of Bhangra. In 2016 she graduated from high school and is pursuing her post-secondary studies. Jas always on her "A" game, keeps the team spirits high and her energy is contagious. This is demonstrated in her team who are an amazing group of talented young girls because of her and Manmeet - she has taken her team of Bhangra Jiwani and had one of the most amazing performances at the year end youth cultural show May 14 2017. She is now a Senior Teacher. Previous member of the Bhangra4life Bhangra Team (Senior Advanced Team), and currently a member of the Small-town Senior Advanced Bhangra Team as well as Bollywood Advanced. She teaches Bhangra Diva's, girls ages 12-15, and intermediate/advanced boys and has been teaching for over five years. She lead the second health education and fitness class representing SEP as an Ambassador for UBC Faculty of Medicine's South Asian Health Initiative. To many she is a mentor, her peers no matter what team have respect for her and always puts others first and is the first to always help out putting Bhangra and her team first. She is a Senior teacher and is currently in University. She has been a member of SEP for over 10 years and has shown her passion for dance since her first practice! 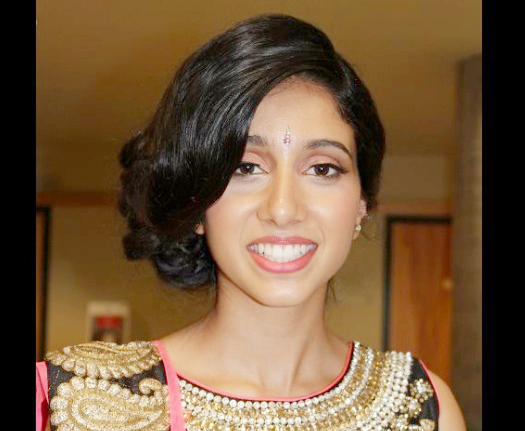 She is a member of the bollywood and bhangra divas and the new co-ed team, vic city bhangra. Alongside her group dances, Jasmeen has choreographed and performed solo and duet performances. Jasmeen will be teaching Bollywood jr alongside Mitali Sharma and is excited to start this new experience! Jasmeen brings a lot of energy and passion into all her dances and works very hard to showcase her culture and love for dance! Kajol taught the Bhangra Big Shots (or tots), do not let their age (3-4) fool you - she had a great experience teaching for first time this year. She was not sure being so young if the tots would be ready to perform on a large stage. The best experience for her was seeing her team on the stage and being comfortable with the dance from beginning to end- she co-taught with Payal Chandel. She is a part of the senior intermediate advanced Bhangra and Giddha teams. She traveled to her first Vancouver International Bhangra Celebration (VIBC.org) event in June of 2017. She is in post-secondary education. Previous member and Team Lead of the Bhangra4life Bhangra Team (Senior Advanced Team) and Senior Teacher of the Senior Intermediate Team. Preeti taught with Janessa a Bhangra workshop for the Lester B Pearson College’s 30 year reunion. Alongside Amy, she taught a Bhangra Workshop to the BC Federation of Unions Women's Program at the University of Victoria in 2007. She has been with the school for over ten years. She has been promoted to Assistant Manager, with so many years of consistent positive behaviour, putting Bhangra first, her peers as well as her students, this promotion is well deserved. She has completed her post-secondary education from the University of Victoria and is now working on her masters. Preeti celebrates 17 years at SEP in 2017! We wish her all the best with her future endeavours! Joined the Smalltown Bhangra (advanced) team in 2015! Khushwinder coordinated and taught a team at her University in Punjab. We we were amazed by her and her team's performances. She studied Economics in Punjab and obtained her Masters in Economics when she came to Canada. She also was emcee at our year end show in 2016 and definitely raised the bar with Punam Randhawa! Her stay in Victoria and the Island and contribution to S.E.P. and all students has been short and sweet - we congratulate her as she embarks on a new chapter in her life as she got married in 2017. She has a passion and natural talent for this traditional Punjabi female dance called Giddha. In 2016-2017 was her first year teaching Giddha and did an excellent job adding her unique style including a skit - which all the team was engaged and enthusiastic about. As part of the skit she worked with Sonia, she is true passionate and has shared with the team what she is so naturally good at. She is teaching the Senior Intermediate Team - keep up the awesome job! You are an inspiration to other youth. Previous member of the Bhangra4life Bhangra Team (Senior Advanced Team), and a current member of the Small-town Advanced Senior Team. She teaches the Bollywood dance with her sister Meera to the Bollywood Diva's team, and has been with the school since she was four years old (1996). She is a Senior Teacher and now teaches the first Bollywood Advanced Team alongside her sister. She and her sister lead/manage our Bollywood program building a junior Bollywood team. She is currently in University. Krishna celebrated 20 years with SEP in 2016!! One of our youngest teachers, however one very fun, talented and amazing teacher. This is her first year teaching, she has been training with Janessa and Amy for the past few years. She is eager and very excited to teach and spent the 2016 summer working with an all girls team. She is currently a member with the Bollywood and Bhangra Diva team, and has been with SEP for over 10 years. She is teaching with Manvi Sharma. She and Manvi have taken their team to their first performance in 2017 at the Family Day Children's Youth Festival at Cedar Hill Recreation Centre. You will remember her and Malika as emcees for our 2015-2016 year end show. Malika and her co team lead Gavin Chandel are also instrumental in starting a new co-ed team and others called Vic City Bhangra (a name the team came up with). Member of the Smalltown Bhangra Team (an advanced team), and was a member of the Senior Intermediate Bhangra Team as well as of the Giddha Team. She has been with the dance school for over 5 years, and is Senior Teacher and Assistant Manager, at SEP. She teaches her core team of junior girls ages 7-9 with Jasdeep Bhela called Bhangra Jiwani. Manmeet also was the emcee coordinator and worked together with Jaz Grewal, she continued to raise the bar at the S.E.P. 24 annual show at Uvic in 2017. Her favourite part this year was the show- she felt her team was well prepared and this year the team also provided their thoughts and input in a collective manner. She is currently in University. She has been working hard doing choreography for the first time, with eagerness, dedication, talent and commitment this summer 2016. She teaches with Malika Bains teaching Bhangra as well as Bollywood alongside Megan Randhawa and Payal Chandel. After much teacher training last summer this year she taught her very own team with Malika Bains, they have named Bhangra Nation. She is a member of the Bollywood and Bhangra Diva's team as well as the co-ed team Vic City Bhangra. You will remember her and Malika as emcees for our 2016 & 2017 year end show. Member of the Senior Intermediate Team, Bollywood Advanced and Giddha teams.She traveled to her first Vancouver International Bhangra Celebration (VIBC.org) event in June of 2017. In 2015 was her first year teaching with her sister Nicole teaching our intermediate co-ed team. Megan was the Emcee Coordinator for our year-end show in 2015/16 and did an amazing job. She also taught Bollywood dance as part of the back to school orientation at St. Margaret's School alongside Payal. With Payal and Manvi she has taught the Bollywood junior team (2015-2017) and is currently teaching alongside Tanvir Parhar the advanced co-ed Bhangra team. With Tanvir she also taught at the Lambrick High School Dance Club. Previous member of the Bhangra4life Bhangra Team (Senior Advanced Team), she teaches Bollywood dance with her sister Krishna to Bollywood Diva's and has been with the school since she was four years old (1996). She is currently a member of the Small-town Senior Advanced Team, and a Senior Teacher, and now has started our first Bollywood Advanced Team as well as the Bollywood Junior Team - her passion is to grow Bollywood. She has taught Bollywood to the advanced team of the Sooke Dance Academy. She has now completed her university education and pursuing her masters. Meera celebrates 20 years with SEP in 2016!! She has teacher trained for the last few years, and she is ready to teach, this summer in 2017 she is working with new teacher trainee Jasmeen Lalari and Coreena Phalore to teach the Bollywood Junior team. Mitali is a keen member of the very talented Diva's, and (new) co-ed teams. She is an incredible addition to the teacher team not only due to her talent but her passion, her ability to naturally bring enthusiasm and her commitment. Her favourite experience at SEP is being with her peers, making new friends, and the youth year end show. Welcome Mitali! Member of the Senior Intermediate Bhangra and Giddha Team, of whom she was previously a co- Team Lead. She currently teaches our junior B9 Boys Bhangra team, and with Arleen Atwal did an outstanding job in 2017! She taught Bhangra/Bollywood outside of S.E.P. at the Sooke Dance Academy, a group of junior girls ages 7-9 in 2014-2015 with Arleen. She also taught Bollywood dance as part of the back to school orientation at St. Margaret's School alongside Meghan and the junior Bollywood team alongside Manvi and Meghan. Congratulations to her as she is the recipient of our second annual scholarship. She is currently in University. Member and co-Team Lead of the Senior Intermediate Bhangra and GiddhaTeam, and the co-ed advanced team, this is Prabhleen's third year in the 2017-2018 year. She was a camp counsellor at the Khalsa Diwan Society where she did an amazing job working with young children. She will be teaching one of our younger teams, Little Bhangra Stars ages 4-6 with Tejpreet. She and Tejpreet have had their teams first performance at the Family Day Event at Cedar Hill Recreation Centre in 2017. Previous member and previous co-Team Lead of the Senior Intermediate Team; and is the Team Lead of the Smalltown Bhangra Team ( advanced team). She was an active member of a vibrant Giddha Team; she is currently a Senior Teacher at S.E.P. and for the Senior Intermediate Team, the team Bhangra Beats, and the Bhangra Royals team. She has taught successfully a junior co-ed team. She has been with the dance school since 2009. She taught a Bhangra Workshop with her sister Tanvir at the Victoria Conference Centre for the Bellyfit Summit. With her excellent relationship building skills, with students, parents and peers as well as passion, respect and dedication to Bhangra she has been promoted to Assistant Manager - she is a true mentor. Preet is in University. Member and Team Lead of the Senior Intermediate Team, she has taught for the first time a junior girls team. She has co-taught a boys team. She is also an active member of the Giddha (voice behind the skits in Giddha in 2017) and Bhangra team. She traveled to her first Vancouver International Bhangra Celebration (VIBC.org) event in June of 2017. She has a natural passion for Bhangra and you give her anything and she does it 110 percent. She currently is in high school. She has been teaching singing to youth for the last several years, she herself has a unique voice, and she has a passion for singing Punjabi cultural songs. She also has assisted with Boliyan with the Giddha team many times (sometimes the team liked a song Mrs. Ark helped the team to form it into a Boli - making it unique). She believes in teamwork, working together sharing and always takes her times with the girls to ensure they pronounce and understand the words. Her and her daughter have been on many volunteer ventures raising money for charity. The song she taught for the 2016 Vaisakhi year end youth cultural show, Sohni Punjabi Dee was a huge hit! She was a member of the Bhangra4life Team (Senior Advanced Team), and is instrumental in building Bhangra with the Smalltown Bhangra Team (Advanced Team). She was an active member of the cre8ive co-ed Bhangra Team and also performs with the Bollywood Advanced Team. Raman has been teaching the Bhangra Diva girls ages 10-13 for five years, and she is a Senior Teacher and is currently attending University. Extremely talented, patient, eager and can lead a team to a competition incorporating team and sportsmanship values. Member of the Senior Intermediate Team, and Giddha Team. Shania taught her first team for the 2015 year-end show, a group of girls ages 7-10. She has a talent and passion for Punjabi singing and has been singing duets first with Malika Bains and now with Amrit Ark. She performed the Bhangra puppet dance with Tanvir Parhar, which was a huge success to bring Bhangra Dance in another format. She has been teaching a girls team ages 7-9, with Amrit Ark and Tanvir Parhar. For those that do not know Shania she is a competitive swimmer and we can see her at the Olympics one day. She has started teaching swimming, some of which her first students are from SEP (including Sonia's niece). Member of the Smalltown Bhangra Advanced Team, and co-teaches the co-ed advanced team. She was a part of the Senior Intermediate Team and Giddha Team. She has been with S.E.P. for over five years, she has taught the boys bhangra team ages 10-14, and currently is teaching Wonders of the World with Amrit Ark and Shania Sraw. She taught her first Big.Bold.Beautiful Bhangra Workshop with her sister for the Bellyfit Summit held at the Victoria Conference Centre. She is pursuing her post-secondary studies at Uvic. She is a member of the Senior Intermediate Giddha, co-ed advanced and Bhangra team.She traveled to her first Vancouver International Bhangra Celebration (VIBC.org) event in June of 2017. This is her second year teaching the Little Bhangra Stars, she did an amazing job. She did work with young children as a camp counsellor at the Khalsa Diwan Society in the summer and did an amazing job. She too has a unique talent for Bhangra, and is looking forward to teaching. She always puts her team first. Was a member of the Bhangra4life Team (Senior Advanced Team), and Team Lead of the previous co-ed Cre8ive Bhangra Team. She was Senior Teacher and has taught the all girls team ages 4-6 for two years as well as our younger co-ed team. She has been with the school since 1998. She taught a Bhangra workshop to 90 students at the Dunsmuir Dance Academy. Alongside Preeti, she taught a Bhangra Workshop to the BC Federation of Unions Women's Program at the University of Victoria. She has graduated as a Teacher from the University of Victoria and is currently pursuing her Masters at UBC. She also lead and taught our Punjabi Speaking Program. Amy had been 18 years with SEP in 2016. She has left her senior advanced team to create a co-ed team. He was the first youth Dhol teacher in Victoria, and has many years of experience behind him. He has taught several boys the Dhol and has played the Dhol alongside the boys advanced team, at the Babu Maan concert; and the senior advanced team in Disneyland, many Diwali events, and S.E.P. year end Visakhi shows. He is an amazing teacher with skill and passion and it shows when he teaches. He is now pursuing post-secondary education internationally. We sincerely wish him the best and the current Bhangra man image on our home page with the Dhol is dedicated to him. Our sincere congratulations to him upon completion of his law degree from Australia! Member of the Bhangra4life Team (Senior Advanced Team), and co-ed Cre8ive Bhangra Team. She was Team Lead from 2011-2013, she was Senior Teacher and taught the all-girls team of ages 4-6 and in the past has co-taught the senior advanced boys. She has been keen on lifts, and as team lead had motivated her team to do the three tier lift (which the first one was done by Lauren Labh). She was also a part of an advanced team from 2004-2006 where she first learned lifts, i.e. from Jaclyn Brach (a cheerleader from Mount Douglas High School). She taught at the Dunsmuir Dance Academy a team of students Bhangra that was performed at our year-end show with Mrs. Nicole Atwal (nee Randhawa). She has taught with Preeti a Bhangra workshop for the 30 year reunion at the Lester B Pearson College as well in 2015 a Bhangra Workshop to 100 students at Belmont High School. She has completed her post-secondary education, and is in her management career in retail. Janessa celebrated 20 years with SEP in 2016 and chose to leave her senior advanced team to be a part of a co-ed team. She was a member of the previous Senior Advanced Team from (2009-2012), and has been with S.E.P. since 1996. She re-joined in 2008 as emcee for our year end show at the Royal BC Museum. She was the Valedictorian in her final year at St. Margaret's School. She has taught the boys advanced team, the Dunsmuir Dance Academy advanced team, and the girls team ages 4-6. In 2015 she was back teaching our newly formed co-ed advanced team for ages 10-12 with her sister Megan. She is a professional teacher, and as part of her practicum taught a team of students at her high school. She is now pursuing her teaching career full-time, as well as her married life, and continues to touch the lives of her students with Bhangra, we wish her the best. 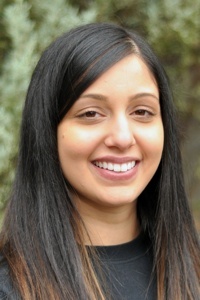 She is a co- Team lead and founder along with Preet of the Smalltown Bhangra team, although taking a break from teaching to pursue education in Vancouver and provincial government co-op work experience, she has taught the Bhangra Royals Team, an intermediate boys team along with Preet. Also she has performed as the amazing trio alongside her cousins Jaskamal Grewal and Jaskiran Grewal. The trio was called JPJ and her cousin Jaskamal went on to form the Vancity Boys Bhangra team, which performed at the first IIFFA awards held in Vancouver. Since then the Vancity team has gone to win first, second and third place in many international competitions. We wish Pavan all the best in her career in the public sector and in 2017 returned to perform with her Small-town team she created with Preet Parhar. Sonia discovered this advanced student when in the newspaper Punam was acclaimed Miss Teen Victoria. Punam came on board as emcee at the 2008 Royal BC Museum performances. Since then she joined the Senior Advanced Team and in 2010 with Raman (her sister), Janessa, Amy, Preeti, Jasleen, Keira, and Janessa who formed S.E.P. 's dream team. This team evolved to be accepted to perform at Disneyland adding our boys advanced team. She taught the Senior Intermediate Team in 2013 and with their performance at VIBC have achieved over 25,000 hits on youtube. Punam in 2014-2015 acted for a part in the famous Punjabi movie called Sardaarji with Diljit Dosanjh, Neeru Bajwa, and Mandy Takhar. Her part in the movie is the Salsa Dance School owner. She was also emcee for our year end show in 2016 with Khush - this dynamic duo did an amazing job! She has completed her masters in nursing outside of Victoria and when she has time continues to teach Bhangra workshops, she recently taught at the Vancouver Island University in November 2016. We congratulate Punam as she embarks on a new chapter in her life, as she is getting married in 2017. Member of the Bhangra4life Team, also known as the Senior Advanced Team. She was one of the first teachers to teach co-ed at S.E.P. , along with Angela Bamra. Raveena was also a part of the first advanced co-ed team called cre8ive. Raveena was Senior Teacher of the Senior Intermediate Team for the year 2016-2017. She also participated with her Senior Advanced Team starting in 2010, which they had some amazing performances which includes Disneyland in 2012 and set standards for lifts. She has been with S.E.P. for 10 years. Upon finishing her degree in Health Information Sciences, she has found full time work in Vancouver, we wish her every success in her career.